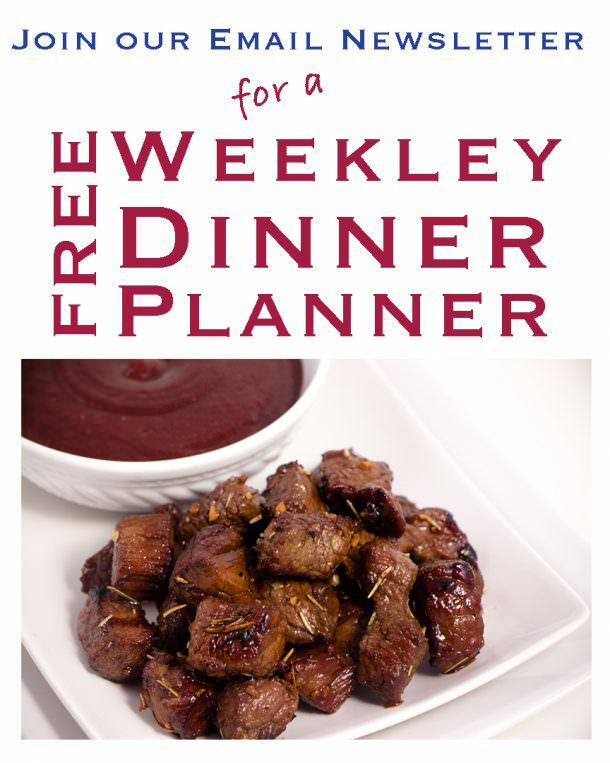 Step 1: I like to use my 6inch paring knife, but a good chef’s knife will also work. What’s important is that you have a nice, sharp, knife to work with so that you have an easier time cutting away the skin. Step 2: Start at the top and slice close to the skin rounding around the edges where possible. Do this to all sides and then you go back to the edges where there are still some skin left behind and trim it up. 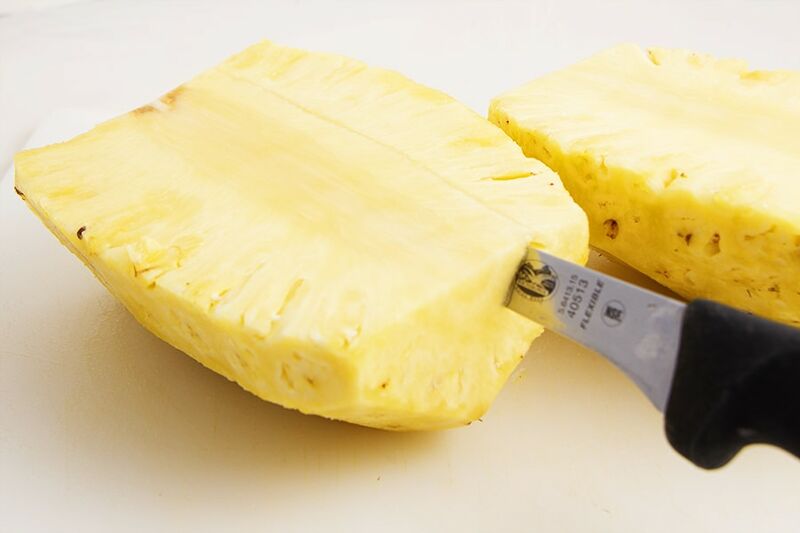 You’ll notice several “pits” the first time you cut away the skin – when you go back around to trim things up, these should disappear. 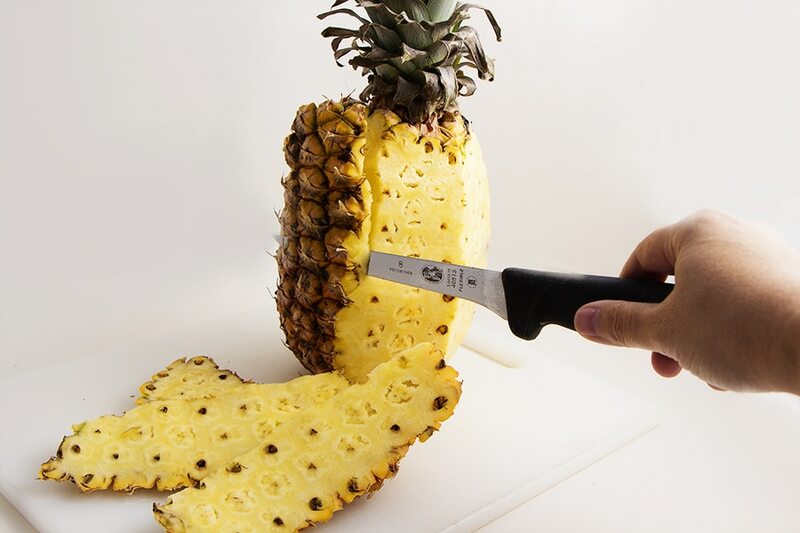 Step 3: Slice the Pineapple in half length wise and remove the core. The core is the tough dry center that can be easily seen. Slicing a “V” to remove the core is the easiest – but you can follow the curve of the core too. 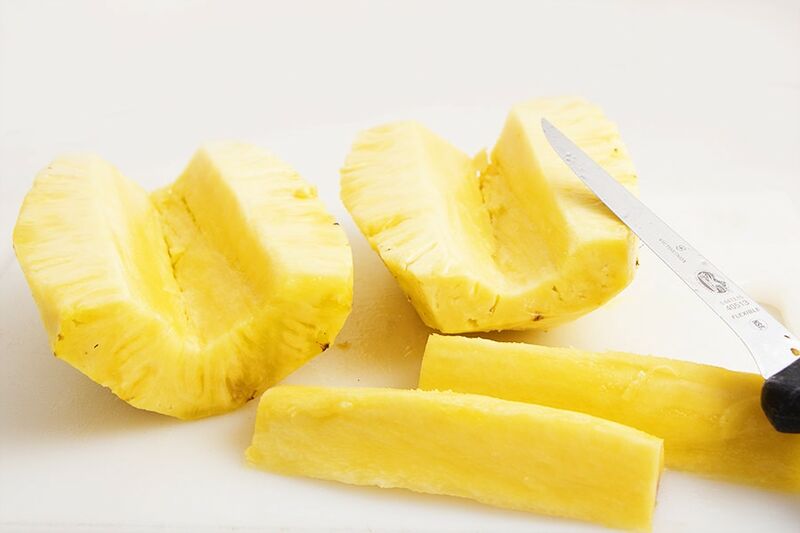 Step 4: Now your pineapple is ready to be made into slices, diced, or even crushed! 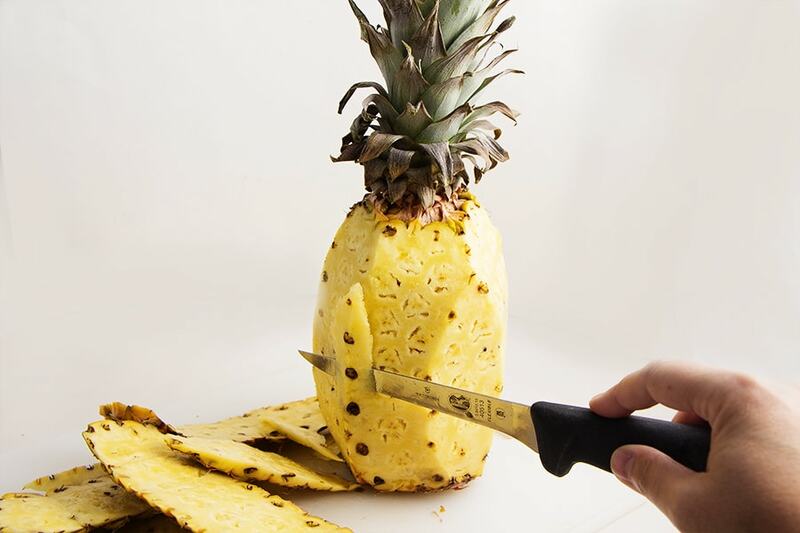 If having the satisfaction of cutting up your own pineapple is not important to you – then you should try this pineapple corer. Works like a charm! 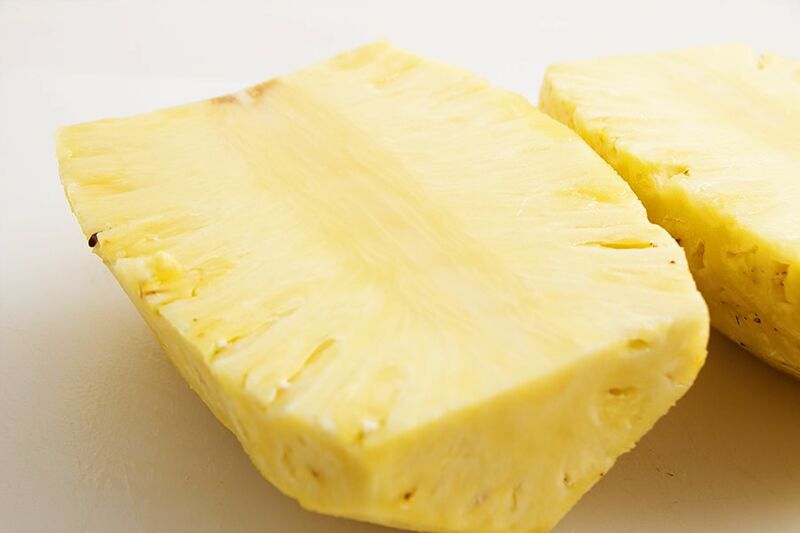 However – you do run the risk of leaving a lot of the fruit behind because not all pineapple are the same size.